Zoom Video Communications is a world leading cloud based conferencing platform, used around the world for online meetings, content sharing, chat and webinars. Organisations worldwide have been using Zoom software at the desktop and on mobiles for peer-to-peer communications since 2011, and the last few years has seem tremendous growth of Zoom’s cloud platform usage especially in the huddle room, meeting room and conferencing spaces. These Zoom based rooms are otherwise know as “Zoom Rooms”. Zoom Rooms is the idea of enabling individuals, teams and organisations to access the Zoom cloud conferencing platform from a meeting room so that your employees using Zoom can communicate from wherever they choose to work from. Zoom Rooms is a combination of a Zoom Cloud subscription, Zoom Room Licences, and meeting room hardware… and of course a meeting room or collaboration space. Don’t forget – Zoom Rooms is not included with an organisations Zoom subscription – here’s a few questions and answers to help explain what Zoom Rooms are, and how it can work for your business. What can Zoom Rooms do for me? Zoom Rooms extends your Zoom Video Communications into your meeting spaces. When properly deployed, with the right hardware and services, your meeting spaces are enhanced with video and audio to connect with remote teams and businesses. In fact, Zoom Rooms can bring all these benefits and more to your meeting spaces, with a solid cloud communication platform in the background to deliver a range of features for remote team collaboration. Can I buy Zoom Hardware? No. Zoom doesn’t have it’s own endpoints, video conferencing systems or room based hardware. You can buy hardware FOR Zoom, but Zoom itself is a fully software based solution. 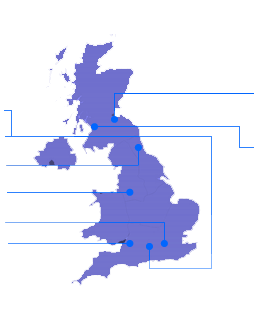 The idea of Zoom Rooms is that organisations deploy hardware for the particular room and space, and then connect into the platform to access the features from the Zoom cloud – Secure multipoint Conferencing, audio and content sharing with recording, chat, calendaring integration and all the other features you’d expect from a professional collaboration platform. What Zoom Room Hardware is recommended then? The hardware and conferencing room systems to use for your Zoom Rooms is dependent upon your needs, aimed outcomes, room size and space, and the current communication and collaboration environment you have in place. 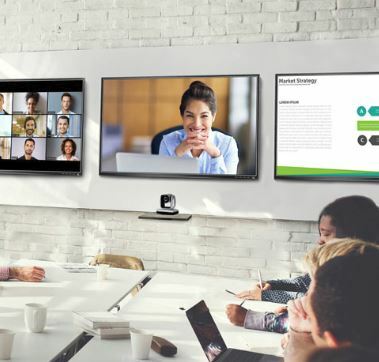 Zoom can be accessed with standards-based Video Conferencing systems such as those from Cisco or Polycom by using a Zoom Room Connector, which enables organisations to use their current investments and professional Video Conferencing endpoints to access the features of the Zoom Cloud. All of these peripherals and more can make up your Zoom Conference Room hardware – but there are some limitations, challenges & combinations that work better than others, so if you’re unsure, make sure you get some assistance to understand which ones will work best in your spaces. I hear Zoom Rooms includes Digital Signage? Yes. Screens in your meeting rooms can be utilised to display company information and notices, social media, weather and news reports and other information you may wish to share to the space whilst the display is not in use. In fact, you get this functionality as part of your Zoom Rooms subscription licence. What is a Zoom Room Licence? Of course, you don’t get the ability to connect a bundle of hardware for your meeting room straight into the Zoom cloud for free! Whether you are currently using the free Zoom package, or you already pay for a subscription to Zoom cloud for your organisation, you’ll need to subscribe to an additional licence for Zoom Rooms. That licence can also include additional add-ons, such as the Webinar, recording or large meeting add-ons, dependent upon what you need from your rooms and entire Zoom solution. Don’t worry – We will bundle in a Zoom Room licence with each of our Zoom Hardware Bundles. Ensuring Zoom Rooms are deployed professionally and to the highest quality standard that you require for your meeting rooms is just as it would be for any other Video Conferencing or AV deployment across your business. Professional design, integration, installation, support & maintenance of equipment is managed by your trusted integrator of choice, with support from the manufacturer… in this case, Zoom. Take a look at some more information on Zoom professional services! Sonos: A Zoom Rooms Story! If you are looking at Zoom Rooms and are interested in the various room based solutions available for your meeting spaces, or want to talk to us about the different Zoom Room bundles and Professional services available, get in touch with our team today.